On May 16th, I had the pleasure of giving a seminar in Samara, Russia to a group of students who currently attend Samara State University. The event took place at Art Propaganda which is in the downtown district of Samara and was organized by Irina Sh and Olga T.
I wanted to take this moment to thank Irina, Olga and everyone who attended the seminar. One of the students I meet is Tanya Z, who is a freshman at Samara State University. As I previously mentioned, it is not easy being a writer. Writing takes talent and inspiration. So when I do meet someone who has a passion for writing, I will always encourage that person to continue writing. Writing is a gift, and a very long road for more people than you realize. Just think where the world would be today if Greek Poet, Sappho gave in to the barrage of negative criticism. So without further adu, I would like to present a poem titled Russian Winter by Tanya Zyuzina. But the loneliness came to me. But with my own heart outside me. I’m walking up by the street with my man. Through the snow to the Hell. Who is thinking of me in this World? I’m with my ambition that keeps me alive to get my lucky Way. 1. Where you are from and where are you now? I grew up in Brisbane Australia. I now reside primarily in Samara Russia although I travel internationally a great deal. 2. How did you get started writing? I first discovered writing when I was in grade 9, when I attended Kedron State High School. Instead of reading a book and writing a report on what I thought about the topic, I decided to pen a short story. In about 2 hours I penned a short sci-fi story, which was my first attempt at the world of writing. The story received top marks from my English professor, who also encouraged me to continue writing. That was the first and seemingly last time I put pen to paper.. That was until the summer of 1989…. 3. What do you do when you are not writing? When I am not writing I spent a lot of time working as a Recruiter and spend a lot of time blogging about The Chosen, as well as about my upcoming novel, Bloodline of Darkness. 4. What would readers like to know about you? I am pretty much the same as everyone else. I have hopes and dreams, triumphs and tragedies. 5. What inspired your first book? The inspiration for the first novel came from a hobbytex picture my mother had on the wall in her apartment. In 1989, I was living in Melbourne at the time, and once again I found myself writing. My first short story was titled “Shack of Evil”, a 9 page story based on the character Jamiesonn. The story idea came from a Hobbytex picture my mother had on the wall of her apartment. 6. How many books have you written? 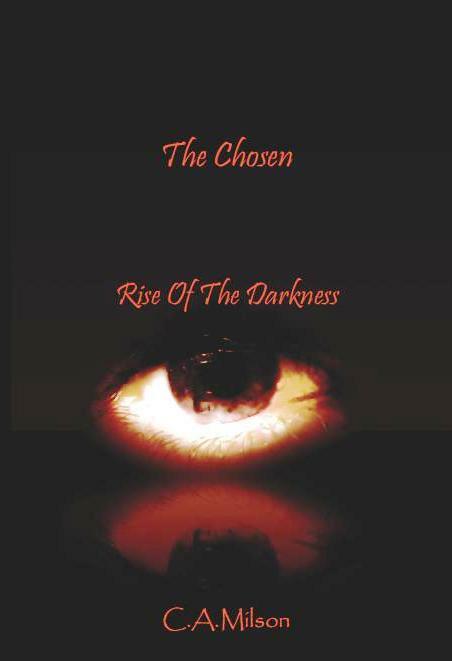 The Chosen was my first full length publication. The Chosen was written after I laid the foundation for the short story titled “Shack of Evil”. After I wrote Shack Of Evil, I went on to write an additional 25 short stories, all of different genres, including a childrens story. That original story later become the base for what is now the trilogy of The Chosen, Bloodline of Darkness, and Prophecy’s End. 7. What are the titles of your books and what genres are they? My debut novel is titled The Chosen. I am working on Bloodline of Darkness currently. Both are Supernatural Horror. 8. How do you decide on that topic or genre? Why are you specially qualified to write about this topic? I was not automatically drawn into horror, but after reading stories by H.P. Lovecraft and Misery by Stephen King, I knew that I wanted to write novels that would entertain and scare the audience. But like some beginning writers, I had no idea how to get storyline past the seemingly impossible short-phase and also written in the third person context. I have studied different theologies about the supernatural throughout my life and I have always been fascinated of what possibilities would lay in other spiritual worlds, so my writing maintains a basis of the cliched “good versus evil” and the “what-if” scenarios without coming across to heavy. 9. How do you manage to keep yourself focused and on track when you’re writing a book? When I actually get focused on writing, different scenarios pop into my mind, and where I want to take a scene, so I write it exactly as I see it. Like, at the moment, I am writing the third chapter of Bloodline, and so far the main character has had a series of dayvisions, where he thinks that the world around him is real, then he wakes up, to later find out that he is in another nightmare..
11. What are some traditional methods of marketing you have used? Which were the most successful? Being one who has been in marketing for 14 years, I have seen nearly every form of marketing known to man. In my time I have done sub campaigns and promoted everything from concerts to land investments, and I have to say that this, promoting a novel, is something I was so unprepared for. I took it for granted initially that when a book comes out, it would get on the NYT list, and so forth, but that is not how it is. Apart from the PR’s that I have sent out to various newspapers (which don’t seem to work), the only things that have gotten attention are the posts I put on Social Networking sites such as MySpace and Facebook. 13. Do you sell through a website? If so, what’s the address? If not, why not? My works are available through most online retailers such as Amazon, Barnes & Noble, Amira Press, just to name a few. Best way to see what list of retailers stock The Chosen, just google my name “C.A.Milson.” I think at the moment I am on some 4,000 websites. 16. Will you write more books? Absolutely! My intention is to complete Bloodline of Darkness by February, and then Prophey’s End sometime in 2010. 17. What do you have in the works now? Bloodline of Darkness. 18. What does the future hold for you and your books? Next for me is writing Bloodline of Darkness, which is the second in the trilogy in the life of Alex Manning – A man who is put in the middle of a spiritual conflict he otherwise wants no part of. Bloodline of Darkness is set seven years after The Chosen. Alex has forsaken his powers to live a “normal” life, and the forces of Tartarus have arisen to harvest the souls of humans and plunge the world into darkness. Alex once again must stand and save humanity but can he overcome the ever present darkness that also reigns in his own heart? 21. Tell us about your most recent book. My first novel is called The Chosen. It is a Supernatural Horror, set in modern times. It is the story of Alex Manning who is “The One”, well actually Alex Manning is a nice guy, with anxiety attacks who has visions. He doesnt know he is “The One” until he gets wrapped up in the investigation of the Jamiesonn house. Then he is drawn neck deep into betrayal, battling demons, freaky scary ghosts, and falling in love again tossed in for good measure. 22. What makes this book special to you? This book is the first one that I have seen to be published. From the orginaly concept in 1989 til now has been close to 20 years. That is an externity, and a life-long dream come true. So naturally this first one will always be something to tell my children when they get older. 23. What sort of comments have you gotten about the content of the book? I have had many comments from people, mostly congrulatory, but naturally there have been the odd one who has slammed what I write. 24. What makes this a book that other people MUST read and WHY? This book defines a new era in horror, dare I say? I explore the boundries of horror and bring a new change to the world of supernatual fiction. Imagine a world beyond our own where Dark Forces reign, and only one mortal stands in the way of their enslavement of humanity. The Chosen, Bloodline of Darkness, and Prophecy’s End follow the life of Alex Manning. A hero called to stand for humanity and face a destiny that he wants no part of. 26. What sparks your creativity? Any tips to help others spark their own creativity? Music usually gets me going. But my advise to any aspirign writer is find something that sparks that creative grey matter in your brain and go from there. Start with an idea, build life into a character to make them appear as real as anyone else. Build on their character with real thoughts, dreams, hopes, failures, fears, delusions. When I am writing a character, I “put myself in their shoes” and think, “Now what would I do if I was..” Visualization helps. I find that when I am listening to my music collection on the laptop, I just write for hours at a time. 27. What do you think motivates people to become authors? What motivated you to get into this unusual industry? I would like to believe that people become writers for the love of writing. My motivation was simple. I am a creative person and I write based on what inspires me. 30. Why does the topic of your book interest you? Why would it interest potential readers? Give us a hook to reel in new readers. I have always had a fascination with the Supernatural, and if anyone likes to watch the true ghost stories, then this will be right up your alley. Now, for those who have watched docos on Ghost hauntings, about a ghost terrorizing a house or a person, The Chosen can be compared to that, except, imagine a Supernatual Force that does it on a much larger scale!